NASA has published data showing global temperature and rainfall patterns that may change through the year 2100 due to the increase of greenhouse gas emissions concentrating in the Earth’s atmosphere. The dataset shows projected changes worldwide responding to growing carbon dioxide simulated by 21 climate models. 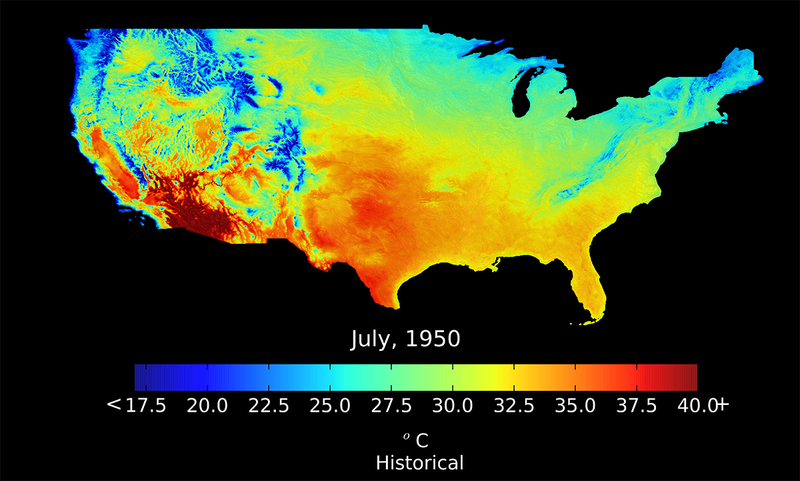 The NASA climate projections provide a detailed view of future temperature and precipitation patterns around the world at a 25km resolution, covering the time period from 1950-2100. 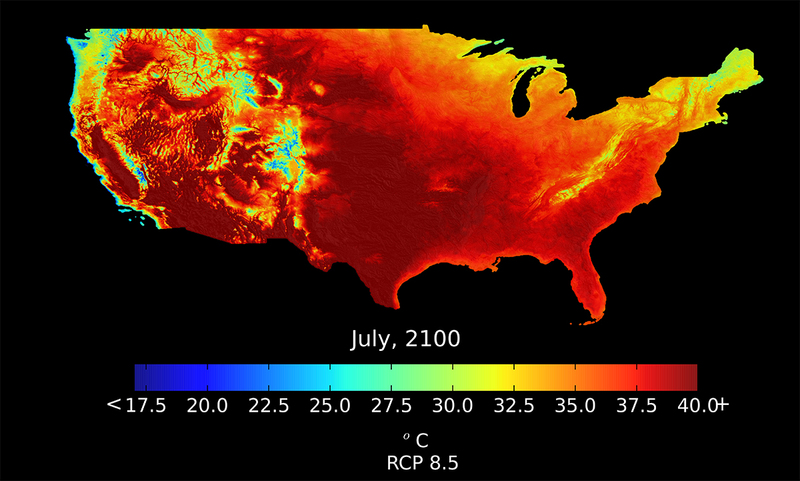 Using these data sets, modelling algorithms, and workflows, NASA is using NEX – a collaboration and analytical platform that combines state of the art supercomputing to explore and analyse Earth’s change.